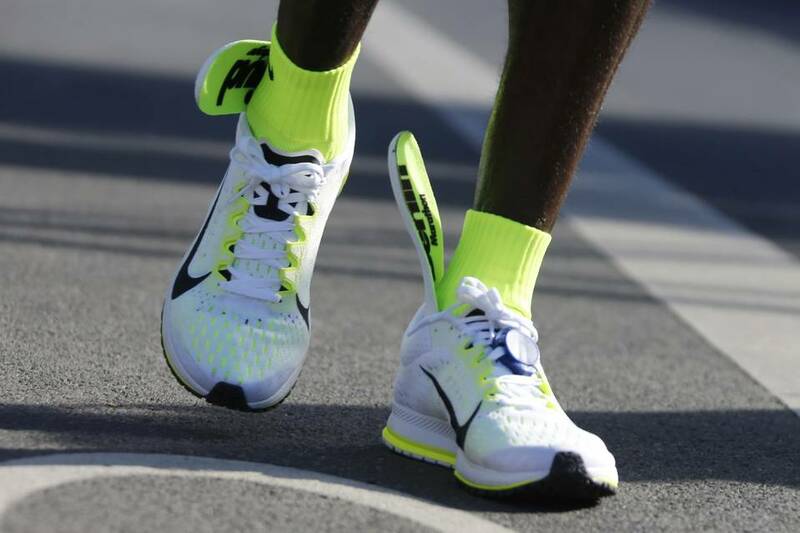 Berlin Marathon winner Eliud Kipchoge falls short of world Record thanks to faulty Nike sneakers that unraveled less than an hour into the race embarrassing for the leading shoe company. Mr. Kipchoge who was going for the record however attributed it to bad luck, saying that the shoes were good having previously tested them in Kenya. He nevertheless confirmed experiencing problems from the first kilometer. According to the official Marathon report, the insoles appeared to be slipping out of the back of his shoes by at least 10 miles into the race. Supply of faulty sportswear to Kenyans is a headache that Nike has had to grapple with before. In 1997, the laces on John Kagwe’s Nike running shoes came untied three times en route to his winning the New York City Marathon. The malfunctions cost him a course record and Nike took responsibility by paying him the $10,000 he was due had he succeeded in setting the record. It’s unclear if Mr. Kipchoge’s performance will affect his inclusion in Kenya’s Olympic team next summer considering each nation is allowed not more than three marathoners. This is particularly limiting for Kenyans who hold eight of the top 10 best marathon times in history. A world record would have solidified his inclusion. Nike has thus far not responded to requests for comment.